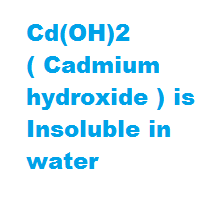 Is Cd(OH)2 ( Cadmium hydroxide ) Soluble or Insoluble in water ? 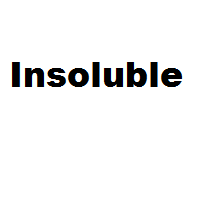 Home › Soluble or Insoluble › Is Cd(OH)2 ( Cadmium hydroxide ) Soluble or Insoluble in water ? 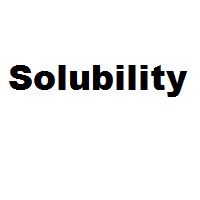 Question: Is Cd(OH)2 ( Cadmium hydroxide ) Soluble or Insoluble in water ?